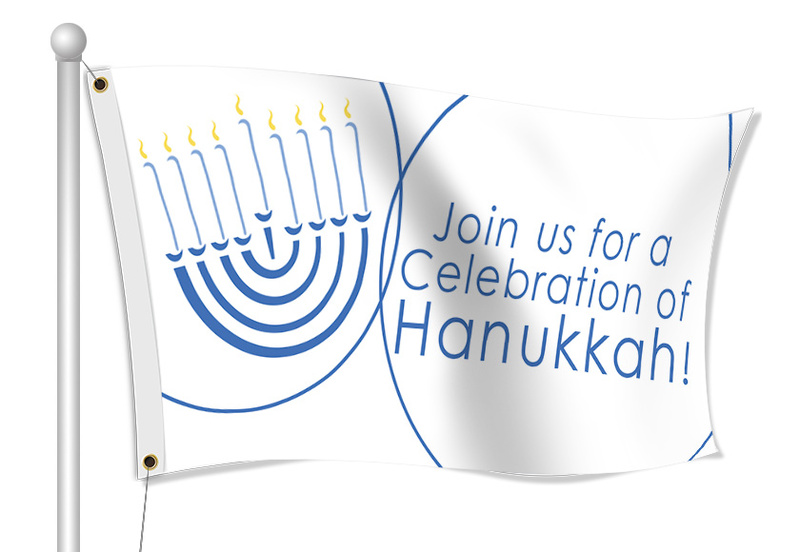 Advertise your Hanukkah celebration with a custom fabric flag. We have Hanukkah templates already built for you to customize in our easy to use online designer. You can create you own customize flag in the online designer by adding a background, clip art images and text. You can also upload your own graphics or logo.